The Wolfson Department of Chemical Engineering, the first in the country, was developed as an independent academic unit in 1952 at the historic Technion site in Haifa. 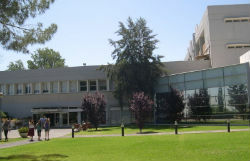 Originally the department focused on traditional chemical engineering, with emphasis on the needs of the fast-growing Israeli chemical industry, it evolved over the years into a modern chemical engineering department that combines core (“classic”) chemical engineering with the modern aspects of the discipline, namely, nanotechnology, advanced materials, and biotechnology and biochemical engineering. Research areas covered by our faculty include: catalysis and transport phenomena, colloids, interfaces and complex liquids, polymer science and technology, advanced materials, energy systems, biosystems and design and control. The department has now 18 active faculty members, over 420 undergraduate students, approximately 100 graduate students, 35 of which are PhD students. In addition, the department has 25 postdocs from many nationalities, giving some international flavor to our activity. The faculty members are closely connected to the Israeli and international scientific and industrial communities through active participation in scientific meetings, involvement in professional societies, scientific exchange programs, consulting to industry, and membership in editorial boards of scientific periodical. The department takes pride in its alumni, many of whom have reached top positions in industry, government and academia. The department offers two B.Sc. degrees: in Chemical Engineering and in Biochemical Engineering. The latter program is in collaboration with the Department of Biology. Its mission is to educate chemical engineers with excellent background in biology; those who will be part of the emerging biotech industry, or, if they choose, be part of the chemical industry. The goal of the program in chemical engineering is to educate engineers equipped with an excellent “tool-set” that allows them enter any field in chemical engineering science or industry, and provides a strong basis for graduate studies in chemical engineering. The department also takes part in Technion undergraduate program in Environmental Engineering. We are expanding our graduate program. The research projects of the graduate students span many areas, reflecting those of our faculty. The modern infrastructure, a wide range topics, advanced and specialized courses, and teaching opportunities make graduate studies and research at the department an exciting experience. We encourage graduates of related disciplines, such chemistry, physics, mechanical engineering, and other engineering fields to apply to the program. The department is located in a spacious building, on the scenic Technion campus overlooking the Haifa Bay. In the past ten years we have developed world-class research infrastructure that includes state-of-the art facilities in light scattering, small-angle x-ray scattering, rheological measurements, cryogenic transmission electron microscopy, scanning electron microscopy and x-ray microanalysis, light microscopy, FTIR, gas chromatography, and nano-size measurements. Our building houses classrooms, computation facilities, teaching laboratories in chemical engineering science and technology, research laboratories, and a dedicated library that now serves mainly as study rooms.